The GOP's latest counter-move against President Obama's Affordable Care Act — King v. Burwell — is a big one. On Wednesday, the Supreme Court will hear arguments against the federal healthcare mandate's subsidies provision, under which some 4 million individuals currently receive assistance — but many are still confused as to what King v. Burwell is really all about. It's not surprising either: Without sifting through all the legal jargon and the usual politicking, it can be tricky to decipher what's really going on behind the closed doors and red tape in Washington. Plainly put, King v. Burwell is just another case of business as usual on the conservative end of the spectrum. It's the most recent challenge to the president's massive healthcare overhaul, and congressional Republicans really feel as if they've got this one in the bag. Since the bill was first introduced in March 2010, the GOP, which claims that the mandate oversteps constitutional bounds and forces a huge financial burden on the average taxpayer, has been lobbing disputes toward the other side of the aisle, hoping that one would stick. And in the case of the recently introduced King v. Burwell, it looks like they may have succeeded. Because of the monumental nature of the case, we've broken it down for you, in easy-to-understand phraseology, so that you know exactly what you're getting when SCOTUS takes the case on Wednesday. 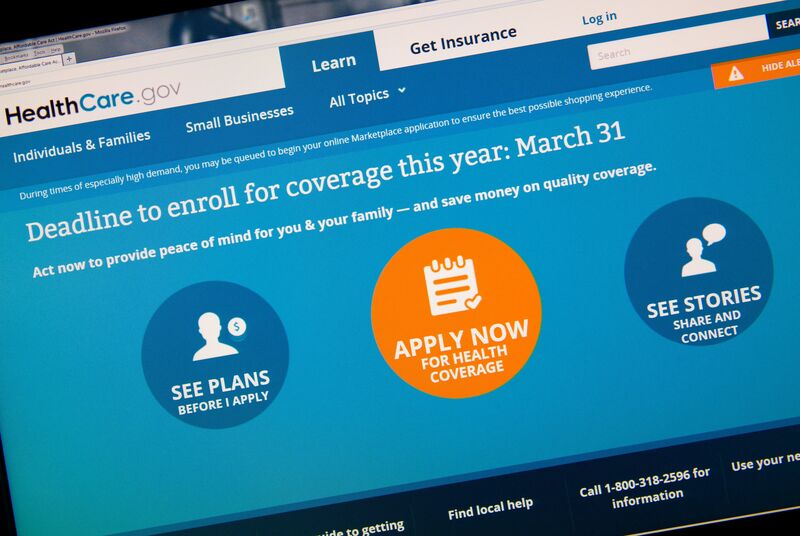 King v. Burwell alleges that the subsidies afforded to the nearly 4 million who receive insurance through healthcare exchanges are in violation of the "plain language of the law," according to a report by The Washington Post. The plaintiffs claim federal subsidies that assist individuals in purchasing healthcare coverage should be available to all Americans. The argument here comes down to four simple words: "established by the state." The plaintiffs allege that, according to the law as it's written, only those who purchase insurance through exchanges established by state government — and not federal — are eligible for the subsidies. This, of course, is untrue, according to a report by Elizabeth B. Wydra, chief counsel at the Constitutional Accountability Center. Wydra explains that, in theory, the ACA mandated the language to indeed force states to set up their own exchanges. But upon further review, she says, it's clear that states whose exchanges are overseen by the federal government still receive subsidies — it's simply under different management. According to The New York Times, if the plaintiffs in King win their case, an estimated 9.6 million individuals who purchased insurance through healthcare.gov would lose their coverage. In their rush to repeal the ACA, the GOP may have forgotten about who they would be affecting — or perhaps they just see them as collateral damage. Either way, what Republicans have failed to grasp is the notion that many of these individuals might be losing their coverage at the most inopportune moment (e.g. mothers about to give birth, patients who have been waiting for specific procedures, etc). Not to be outdone on the subject, audacious radio show host Rush Limbaugh recently weighed in on the controversial case, insisting that the government had made special deals with specific terminal patients nationwide so that they could feature them in sob-stories and point the finger at Republicans for ruining everyone's day. Limbaugh's statements are not only untrue, they're unnecessary: If the plaintiffs in King v. Burwell are awarded the victory, the government won't have to say a thing — 9.6 million Americans will already be angry enough for them. A report by The Wall Street Journal on Feb. 9 alleges that one of the four plaintiffs behind King v. Burwell might not actually have the legal grounds to file suit — and the other three might not have reason to either. According to court documents, Rose Luck, 55, had claimed to be a resident of Petersburg, Virginia, when litigation first began in 2013. The Journal recently discovered, however, that the address Luck had listed in her papers was actually a short-stay motel, the owner of which claims Luck is no longer a resident, as tenants are only allowed to stay for a maximum of 28 days at a time. The problem? Luck's attorneys actually used that address to calculate the cost of healthcare "for people her age in her ZIP Code," as well as tax credit values. The Journal reported that those facts were used to determine Luck's eligibility as a plaintiff and might thereby be moot. The report also claimed that both male plaintiffs in the case were Vietnam veterans and would therefore be exempt from any financial penalties related to not purchasing healthcare coverage (both would likely be eligible for veteran's medical assistance as well). The left-leaning Mother Jones reported on Feb. 9 that the fourth plaintiff, Brenda Levy, a 64-year-old substitute teacher from Richmond, Virginia, had already begun expressing concern over her involvement with the case. After the interviewer informed Levy that the lawsuit she was involved with could cancel coverage for millions, Levy replied, "I don't want things to be more difficult for people — I don't like the idea of throwing people off their health insurance." According to Mother Jones, Levy was also unsure as to how she ever became involved in the first place. "I don't know how I got on this case," said Levy. "I haven't done a single thing legally. I'm gonna have to ask them how they found me." Whatever the outcome from Wednesday's SCOTUS hearing, the relevance of King v. Burwell in terms of public influence is paramount — and despite the lofty language and blurred verbiage between the spaces, it's one case you won't want to dismiss.